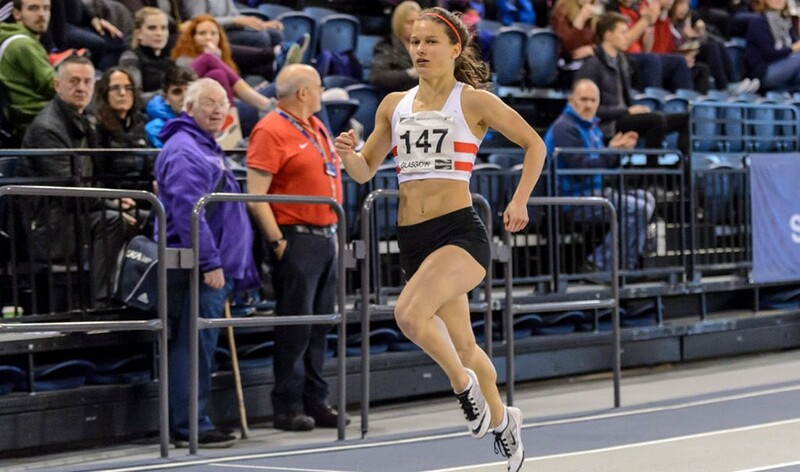 Double world relay medallist Zoey Clark tops the bill for Saturday’s FPSG Scottish Senior and U17 Championships, with the Aberdeen AAC sprinter set to race at 60m and 200m as she prepares for the European trials in Birmingham next month. From there, Clark will look to clinch a return to the Emirates Arena in Glasgow in a GB vest for the European Indoors at the beginning of March. “I am really looking forward to the Scottish Champs now,” she said. “I was happy with the run on Sunday (at the Aberdeen AAC Open Graded) and the 7.46 PB for 60m. My aim was to be as close as possible to the time I ran in December (7.49), so to run 7.46 off the back of some heavy training is really encouraging. Scottish Athletics boss Stephen Maguire believes being crowned Scottish champion is always ‘special’ and says the event can carry great significance for athletes and coaches both currently and looking ahead to the 2019 outdoor season. “It’s another step in the build-up for Zoey and we look forward to seeing her competing at the FPSG Senior Champs,” said Maguire. “She ran a national record in the 200m last year on a day when Laura Muir and sprint hurdler Heather Paton also set new national marks. “No matter what happens this weekend or the age group, be that seniors or under-17s, my own view is that it is special to win a national championship medal. To win your own country’s championship, indoors or outdoors, is a huge achievement for any athlete. “I am really looking forward to it. Indoor competition at the Emirates Arena is exciting – there will be battles on the track and head-to-heads in the field and it is a great chance for athletes to show their early-season form. As well as Clark, other prominent names on the start-lists for the seniors include Michael Olsen, Alec Thomas, Katy Wyper, Lewis Brown, Sandy Wilson, Fraser Angus, Chloe Lambert, Mhairi Hendry, Philippa Millage, Stephen Mackay, Kane Elliott, Erin Wallace, Sarah Warnock, Che Richards, William Falconer, Carolyn Harvey, Nikki Manson, Emma Nuttal, Lewis McGuire, Hannah Lawler and Jax Thoirs. There’s also a host of visiting athletes who could be in the hunt for medals from Portugal, Ireland and England, plus Guernsey’s GB 400m international Cameron Chalmers. PreviousSimplyhealth: What does it take to be unstoppable?